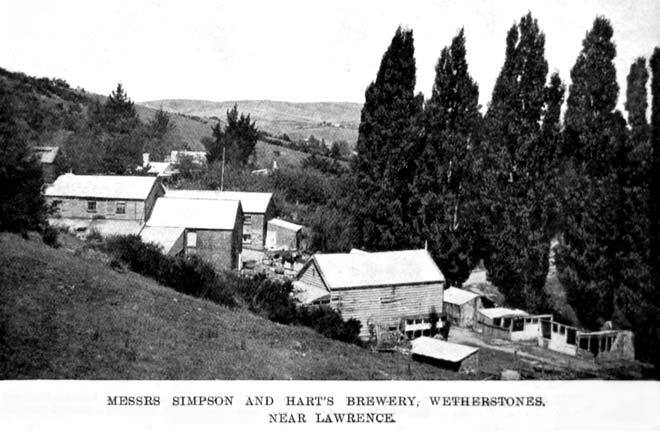 Located at Wetherstons, near Lawrence in Central Otago, this brewery was one of many that sated the miners’ thirst. Beer was first brewed in Wetherstons in 1863 and the brewery closed in 1923. Alcohol was sold to miners through many hotels, and by even more numerous illegal ‘sly grog’ sources. In 1872 there were 220 hotels on the Otago goldfields, with estimates of the number of sly grog shanties put at 400–500.